Pryce’s power is apparent on stage too. 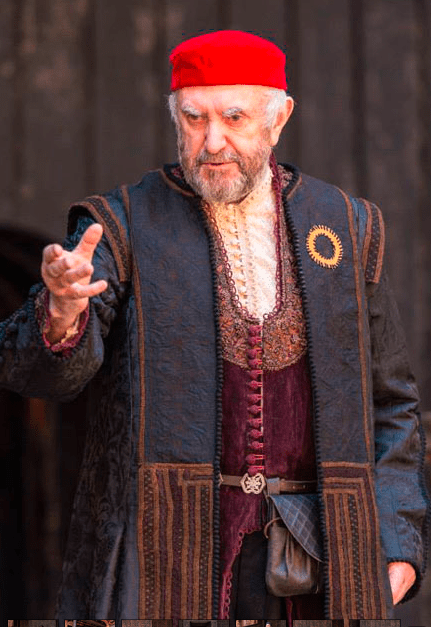 I urge you to go and see him play Shylock in The Merchant of Venice at Shakespeare’s Globe Theatre in London. He’s on stage in only a few scenes but his eloquent dignity steals the whole play. Most of the plot is nonsense about cross dressing lovers and elopement and a fairytale like puzzle for would be with suitors who must choose between a gold, silver and lead lined box to win the hand of fair Portia. Staged in Elizabethan costume in that fantastically atmospheric wooden ‘O’, its music hall/vaudeville feel is maximized. The groundlings – the audience standing around the stage- get dragged up on stage for jokes and the battle of the sexes gets plenty of laughs. Pryce’s Shylock holds on to revenge and hatred as his only comfort in a society that loathes him. Shakespeare’s Venice wears a veneer of nobility, but takes his wealth under pretext of upholding the impartial law of the land. By having his daughter elope & convert to Christianity, Shakespeare tries to load our feelings against him further. We can see through it now. By chance I saw the production the same day that Auschwitz survivors had been testifying in Germany at the trial of a camp guard. Over the years the Nazis had used both laws (starting with property – no Jews to own bicycles) and mass entertainment (the anti semitic 1940 film Jud Suss) to break down and dehumanize Jewish citizens. The TV drama Life on Mars stripped the racism from its evocation of the 70s to make its police hero more loveable; a dangerous airbrushing of our recent social history. There was no such concession at the Globe. On this fine spring night – the day after St George’s Day and Shakespeare’s own birthday – the audience experienced something rare: A thought-provoking night out and a riotously funny night out. Plus a simultaneous evocation of exactly how the play would have been enjoyed in Elizabethan times by an audience that would have been intrinsically anti-Semitic. In the theatre we sensed the continuum of prejudice that connects the glory of our greatest writer to some of the worst atrocities of modern times. 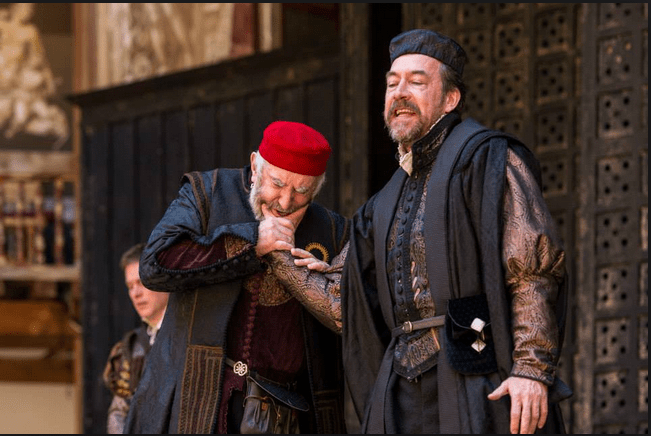 The Globe’s staging shows Shylock’s forced conversion to Christianity – which has been agreed in the “happy ending”. Brought on in a white shift, like a martyr for execution, Pryce speaks only to recite the words of the ritual. We are witnessing the extinction of his very identity. How director Jonathan Munby dares to and manages to pull off both a comedy and a tragedy I do not know. I wonder what Shakespeare and his contemporaries would make of the Globe’s staging, if they could see it? Would they even understand it? I was re-watching the old Carry Ons recently and was surprised to find them full of fabulous strong women and wholesome values. 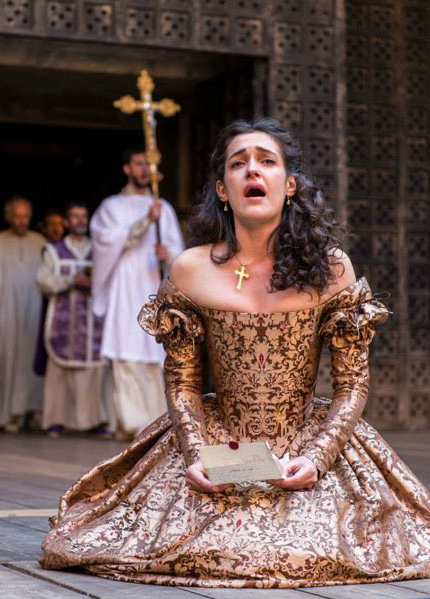 Check out how many feature cross dressing and end with a wedding Shakespeare-style. 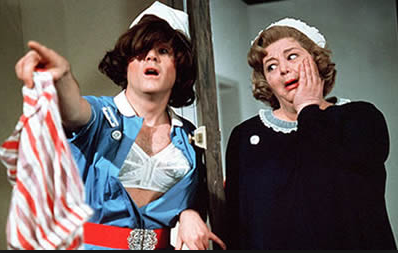 In Carry On Matron (1972) the wonderful Kenneth Cope in drag as a nurse, has to fight off the hospital sexual predator Doctor Prod. It’s a funny scene, that would have been unimaginable with a woman. 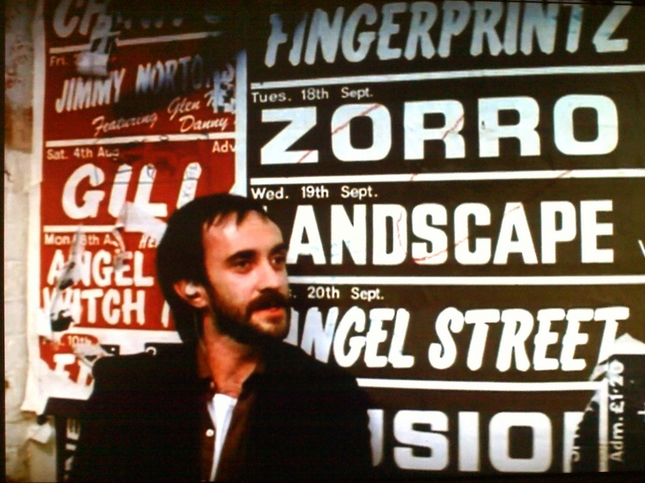 Even in 1972 the film conveyed a sense of changing attitudes, by putting the issue of sexual harassment at the heart of a mass entertainment film. Shylock may have been put on stage as a pantomime villain. But the power of a great piece of entertainment is in the truths that lurk beneath the laughs. Sometimes it takes a few decades – or centuries for us to truly appreciate them. This entry was posted in Comedy, Culture, Film, History, Media, Theatre, Uncategorized and tagged anti semitism, breaking glass, bullingdon club, carry on matron, Germany, jonathan pryce, judaism, kenneth cope, Nazism, shakespeare, Shakespeare's Globe, shylock. Bookmark the permalink. Shylock: A Traveller in Time http://t.co/DdT1xbCnyG via @SamiraAhmedUK << This sounds wonderful, wish I could see it!